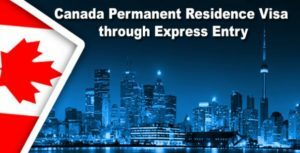 Who can apply for Canada Permanent Resident Visa for Canada? Canada is on the top of the list of best immigration countries as it has the maximum migration all over the world. Most of the countries are making tough rules for immigration and permanent residence policies. On the other side Canada is an example that has lenient and ideal immigration policies. People all over the world choose Canada for their migration because it serves the best of everything. Canada is the most preferable country. Also, it is known as the best country when it comes to “Quality life”. You will get the best quality of life in Canada. If you are thinking of migrating to a new country that can enhance your life and career, then you must choose Canada. That’s why people prefer moving to Canada as a Permanent Resident of Canada. A Canada Permanent Residence visa is nothing but a visa status given by the government of Canada to the person who belongs to some other country but is migrating to Canada. It is a kind of endorsement on the visa of a migrant that allows him or her to enter Canada. Canada is considered to be the most preferable country in the case of immigration. Once a person gets a visa with a Canada Permanent Residence visa stamp, a migrant is considered as a Permanent resident of Canada. Along with this, Canada offers a wide range of visa through which you can migrate to as a Canada PR. So, if you are migrating to Canada then you will receive a Canada Permanent Resident visa from the government of Canada, that will give you allowance to enter your dream country Canada. You can live anywhere in Canada. Although, there are many ways through which you can move to your dream country but the most preferable way is Express Entry Program. It is the best way to apply for a Canada PR. Basically, this program is introduced to nominate interested skilled workers. Who can apply for a Canada PR? Since the most common way used to apply for a Canada PR is Express Entry Program. This program manages three immigration programs that are different from each other. All three programs have their own different eligibility criteria. 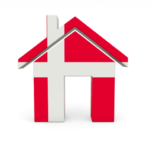 A permanent resident of Canada can sponsor his or her spouse or any other close family member. If an applicant has any past work or study experience in Canada may be eligible to apply for PR in Canada under Canadian experience class. So applicants must meet the eligibility requirements in order to get a permanent resident visa. The applicant can apply through a program named federal skilled worker program for foreign skilled workers. So an applicant must meet eligibility conditions in order to get a permanent resident visa. There is also a program named federal skilled Trades program for foreign skilled workers who want to apply for permanent residence in Canada. Applicants who fill specific criteria may be eligible for permanent residence in Canada under the business and investor programs. Refuges that are accepted and approved by the government of Canada are eligible for permanent resident visa. Newcomer applicants can apply for permanent residence under skilled worker and Quebec experience programs. Provinces and territories of Canada can recruit candidates from express entry pool through the provincial nomination program (PNP) for local labour market needs.